They need to start publishing the names of these commercial carriers (and the names of the companies commissioning the carriers services) who's drivers are found committing offences. Perhaps if these companies know they will be 'harrassed' with calls,flooded with angry e-mails and bad press,and their company name and logo spread across social media,they will also commit,..commit to ensuring much more attention paid to hiring practises, including extensive background checks for previous offences and proper training, commit to a zero tolerance policy for offending drivers!! Companies found to have repeated offences against their drivers should face the very real possibility of losing their business licenses as well!! Ultimately,these actions would 'weed out' the offenders, and require future professional drivers to commit to safe and responsible driving practises. The whole concept of 72hr. suspensions makes a mockery of the attempts to change perceptions and dangerous practises,..they are really just insulting to those of us who are committed in our own right, committed to safe, conscious driving, everytime we get behind the wheel. Sad thing isn't it?!?! I work in transportation as a company safety advisor and let me tell you, I 100% blame Alberta Transportation "Carrier Services" auditing system for this. ANY person can get a "safety fitness certificate" to operate Semi Trucks in Alberta. 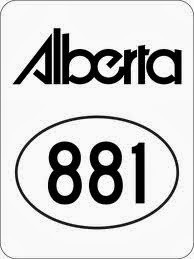 Alberta Transportation monitors trucking companies by a grading scale of 1-4. At a level 3 they send u a warning, once you reach close to level 4 you get a notice that your company is being audited, which means to many drivers have been in accidents, ticketed, put out of service during check stops, etc. Even if you fail the audit you get smacked on the finger with a couple thousand dollar of fines and back on the road (AB Trans gives trucking companies the benefit of the doubt they will change and say "pay us" this $200.00-$5000.00 fine and will forgive you! Without going back at ANY time to the company and making sure they have fixed the issues why they failed, I know first hand this happens). Trust me if I was the transport minister I would definitely be cracking down on trucking companies and pulling away more of the "safety fitness certificates" in this province to get the bad companies off the roads! Maybe one reason why I'm quitting the trucking industry myself, cause I know to many bad things and that our current transportation system is failing us! Not to mention Commercial Vehicle Enforcement is so understaffed which is why the check stops aren't open often!